Cleaning the gutters is nobody’s favorite household chore. It’s easy to see why: you’re perched up on a ladder, digging out soggy rotten gunk by hand. As gross, tedious, and potentially dangerous cleaning the gutters is, failing to do so can lead to serious leaks and damage from your eaves all the way to your basement. Because of this, homeowners are looking for a solution to protect their roofs and basements without having to clean the gutters by hand. 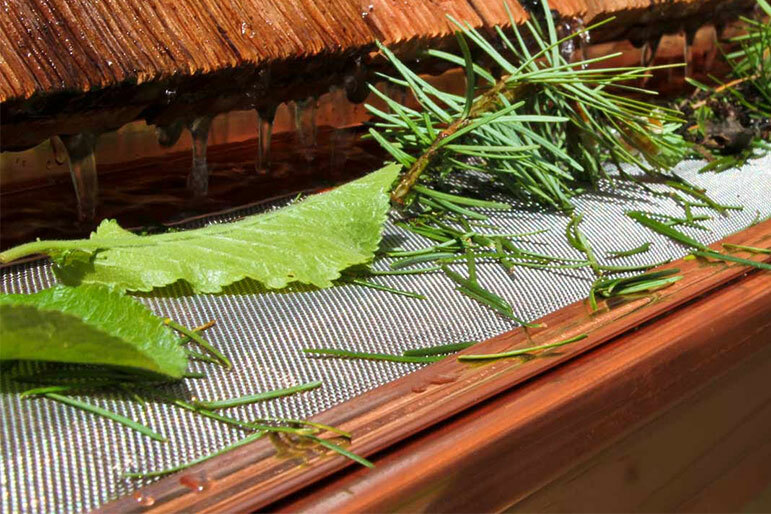 Enter: gutter guards and other types of gutter protectors. However, these systems aren’t cheap, and homeowners want to know: are gutter guards worth it? At Eby Exteriors, we have decades of experience helping homeowners protect their gutters. Learn about the best gutter guard and get answers to all of your gutter FAQs. Knowing how to handle your gutters is more than half the battle. Since gutters are fairly simple, we often encourage homeowners to take charge of them on their own. How often do I need to clean my gutters? — Generally, we advise cleaning your gutters twice a year, once in the late fall and again in the spring. 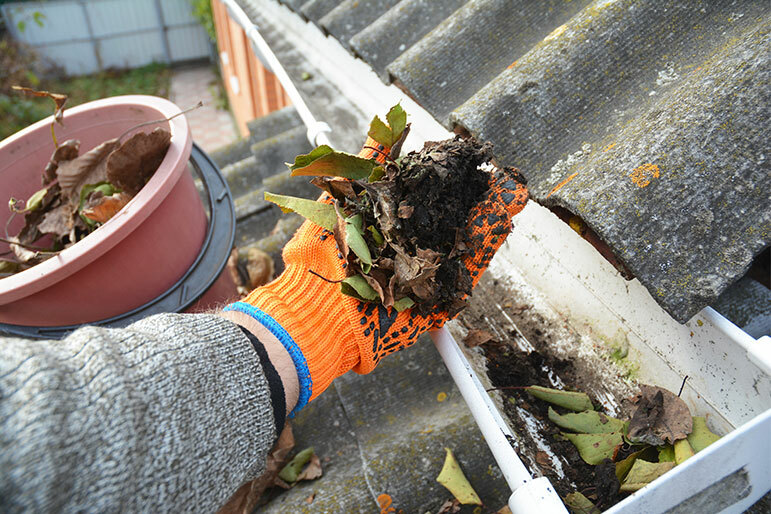 Cleaning your gutters at the end of fall is the most important as they will be full of foliage and dead branches. Do I really need to clean my gutters if I don’t have a ton of trees? — Yes, even if you don’t live in the woods, you should still spend some time on your gutters. Leaves and debris from other trees can get caught in the wind and end up blocking your gutters. In addition, the shingle grit from your roof can come loose and find its way into your gutters. What can go wrong if I don’t clean my gutters? — If your gutters fill with debris and become totally, or even partially clogged, the water from a rainstorm can overflow into your eaves, ruining your roof edge and soffits, and/or flow down over your walls seeping in at windows and doors. Finally, this water will pool around your home’s foundation. The worst-case scenario of this is that the excess water infiltrates into your basement and causes serious damage. Are gutter guards worth it? — Gutter guards, or gutter protection, refers to a series of products meant to keep leaves and other debris out of your gutters. If you use the best gutter guards that actually keep your gutters from getting clogged, then they are absolutely worth it. The right gutter protectors can keep you from having to clean your gutters for several years in a row. The reason there is doubt about gutter protection is that there are less effective products on the market that can let you down. Learn what we consider the best gutter guard — and some guard types that are not so great. While we always tell homeowners that while gutter guards are worth it, there is no 100% fail-proof solution for keeping leaves and debris out of your gutters. Every type of gutter protection has some downside, even if their manufacturers won’t admit it. At Eby Exteriors, we’ve tried and investigated all the major types of gutter protection looking for the best gutter guard. Gutter cap type — These systems cover your gutters with a piece of metal that wraps around to an opening along the outer edge of the gutter. They rely on the adhesion principle to capture all of the water running down the roof. The metal sheet blocks the largest pieces of debris — such as branches and leaves — from entering your gutters. However, gutter helmet type systems are susceptible to shingle grit and small debris, which causes blockages in the downspout, rendering them ineffective long term. It’s also not uncommon for water to shoot out over the edge of the gutter during severe downpours and storms with high winds. In addition, we’ve found that homeowners don’t like the bulky look of these systems. Big box store plastic type — Big box hardware stores often sell budget versions of gutter guards that are made of plastic. In a clear-cut case of getting what you pay for, these plastic gutter systems often grow brittle and crack fairly quickly. Gutter ring type — This type of gutter guard features a raised ring around the gutter itself meant to divert debris. While this doesn’t affect the look of your house, these solutions leave a lot to be desired. Although this type of protection may do the job in light rain, heavy rainstorms overwhelm it and render it ineffective. Plus, in order to install these gutter guards, the contractors have to force part of the product under your roof shingles, which can lead to roof leaks. Not worth it in our book. Champion gutter protection — The product we at Eby consider the best gutter guard is the Champion gutter protection system. Champion’s sturdy frame handles branches and large debris, while its micromesh ensures that roof grit and small debris are blocked. In addition, the unit is designed to handle a high volume of water. The only downside to the Champion is that larger debris can get trapped behind the splash guards over time, making it less effective. Even with this potential downside, it is still head-and-shoulders above the competitors. It’s barely visible from the ground, so unlike many of the competitive products, it doesn’t detract from your home’s appearance. It isn’t connected to your roof, so your shingles stay tightly sealed as they should be — keeping your roofing warranty intact. It just works! We have years of experience installing this product and it gets the job done consistently. Are you done with cleaning gutters? We’re more than happy to help you with that. Our qualified roofers can install an effective Champion gutter protection system to keep your gutters clear and keep you off the ladder. If you haven’t cleaned your gutters yet this year, this is the perfect time to call us. 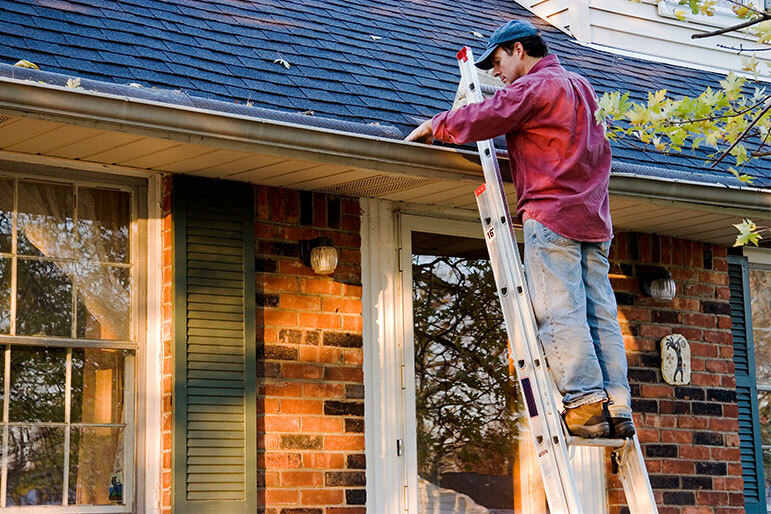 Not only will we install top-of-the-line gutter protection, but we’ll also clean your gutters out while we’re up there. Are You Done with Cleaning Gutters? Contact Eby Exteriors Today! Why Does My Roof Have Black Streaky Looking Stains? "It was obvious to us that quality workmanship and customer satisfaction are the cornerstones of Eby Exteriors. Phil met with us frequently to assure both. He was concerned that our daily living space remain our own during construction. His organization and timely follow-through made this a pleasant experience, and as a result we have a fabulous sunroom!"